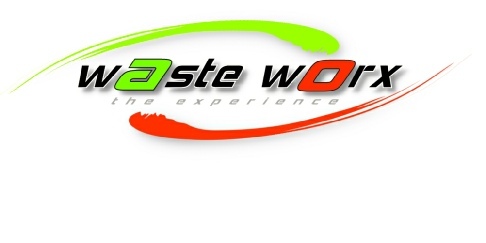 At Waste Worx we are committed to offering our customers the highest level of superior customer service. These tips provide a few helpful suggestions on proper waste & refuse disposal such as: reducing container odor, keeping your waste & refuse area clean, and disposing of bulky items. Loading Container: When loading your container, please ensure that your container lid can fully close. 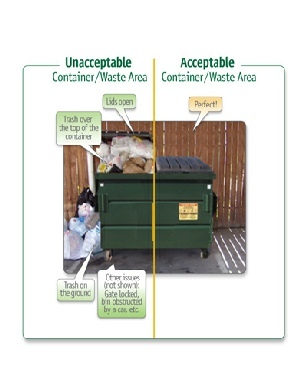 If your waste or refuse is unable to fit in the container with the lid fully closed, we will be unable to service your waste area. Keep in mind that if your waste or refuse volumes do change, we can adjust your service by increasing your container size or collection frequency. Remember, a quick service adjustment will allow you to keep up with your growing demands as well as help you avoid additional fees caused by container overflow or spilled waste or refuse in the waste area. Reduce Odor: To help reduce odor around your waste & refuse area, remember to tightly bag your trash before placing it in your container. This will help to reduce bacteria build up and odor caused by spilled waste & refuse. Keep it clean: Regular cleaning of your container and the waste & refuse area surrounding the container will help to keep the waste & refuse area clean for easy access, reduce odor and minimize insects.